The Tabata training format was introduced by Japanese researcher Izumi Tabata in 1996. 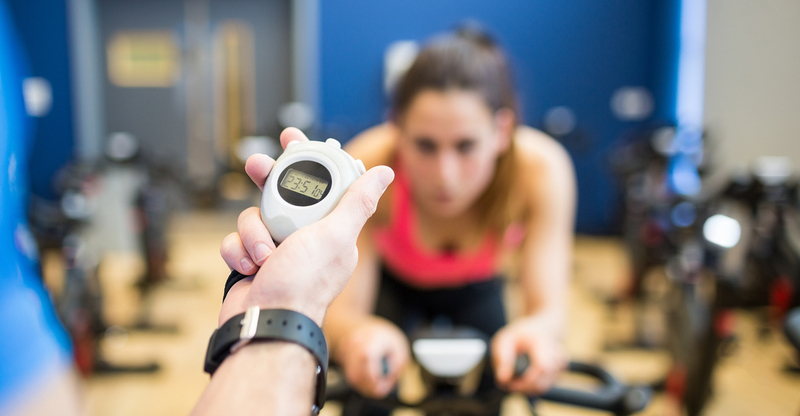 His study showed the effectiveness of short and highly intensive workouts to improve the aerobic stamina and anaerobic capacity of already well-trained athletes. The original format consists of a ten minutes warm-up and 8 rounds with 20 seconds of all-out work followed by just 10 seconds of rest. Use this format with movements which are simple and suitable to push to maximal intensity. Go with the stationary bike if you want to stick to the original format. Caution: This is an intense workout. Consult your physician first if you have any medical issues. Med Sci Sports Exerc. 1996 Oct;28(10):1327-30. Did you try to use this plan as a general purpose Tabata timer for your workouts? Looking forward to hearing your experience! Comments and suggestions are welcome.